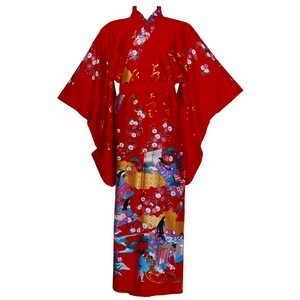 A comfortable ankle-length cotton kimono, ideal for wearing as a dressing gown. The gown has a noblewomen design accented with metallic gold. Please note the sleeve drop of 28" is long on this particular kimono.